With the relationship between Anthony Martial and Jose Mourinho having suffered a recent setback, the talented forward’s situation at the club was proving to be disturbing. Accordingly, he was pondering a move away from Old Trafford previously. Following the advent of Alexis Sanchez from Arsenal, the Frenchman was familiarised with the bench by the Mancunian coach. Further, the player has registered no part in the club’s previous two matches. 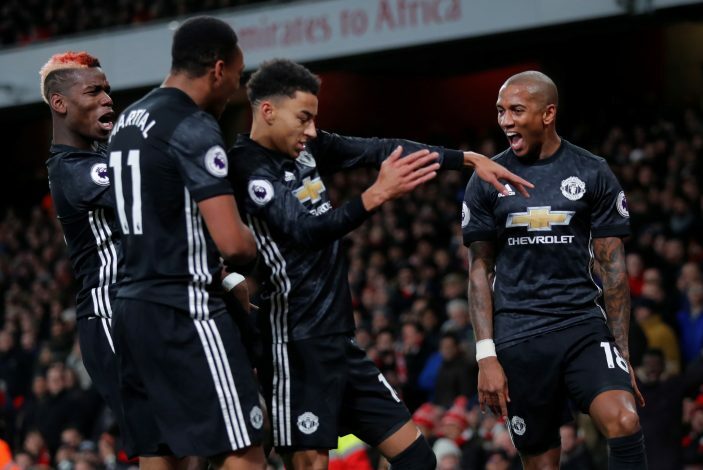 The instrumental forward has only made sixteen starts this campaign, with Sanchez and Marcus Rashford subsequently moving ahead in the pecking order. Nevertheless, the French attacker is now willing to stay open to an offer from Arsenal, as per Le10 Sport. The Gunners are presumed to be interested in hauling over the skilled figure, despite being aware of the potential competition they’ll face in acquiring his signature. Whilst Tottenham Hotspur and Chelsea have expressed immense interest in the 22-year-old, Juventus and Paris Saint Germain are also among the clubs monitoring the United No.11’s situation. The youngster wishes to stay in the Premier League, with Emirates being his favoured destination owing to the fact that he’s in search for more game time. Nevertheless, his current contract, which pins him down to Old Trafford, gets expired by June 2019.